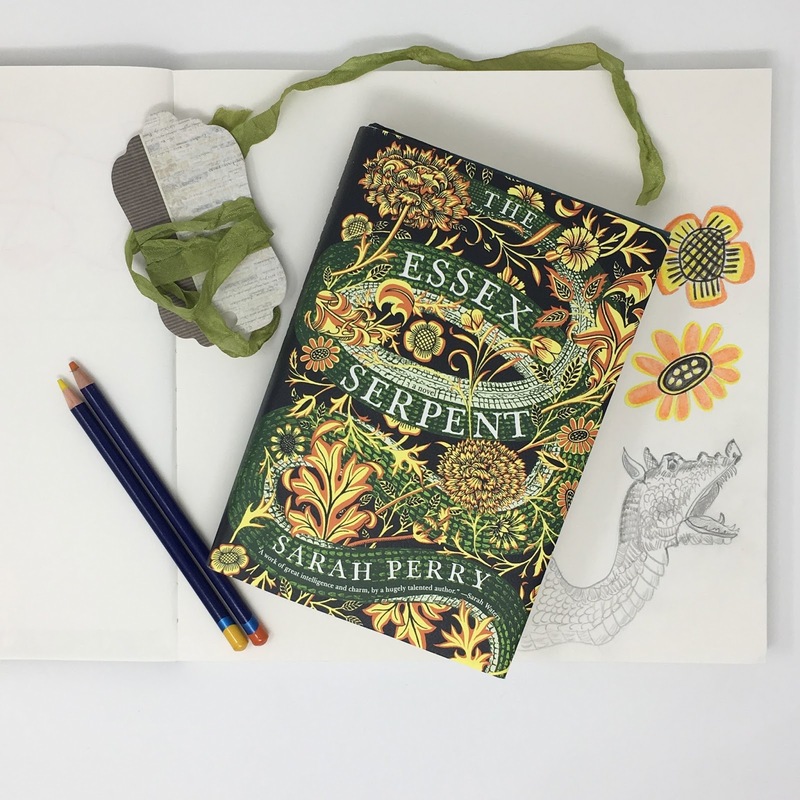 This week I read The Essex Serpent by Sarah Perry. This book has won so many awards, including the British Book Award for Book of the Year. 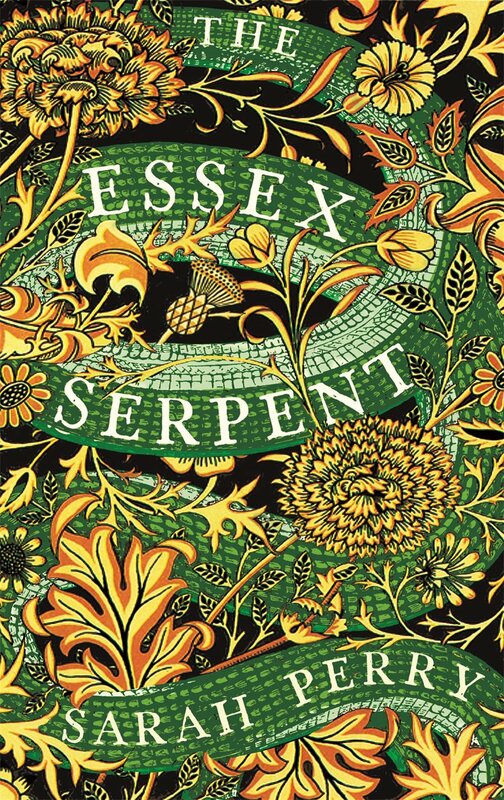 I love the pretty William Morris cover, and I was anxious to read it based on rave reviews. "Time was being served behind the walls of Newgate jail, and wasted by philosophers in cafés on the Strand; it was lost by those who wished the past were present, and loathed by those who wished the present past. Oranges and lemons rang the chimes of St. Clement's and Westminster's division bell was dumb." I was expecting not just a story about a sea monster, but a story where two different world views collide, yet love doesn't care. This is not really what the book is about. The novel shares several Victorian advances, like in medicine. It also spotlights the Victorian's love for all things strange and interesting. There's even a little politics thrown in with some of Cora's friends and acquaintances dabbling in social reform and attending Eleanor Marx lectures. There definitely is a sense of the Victorian era in the novel as far as historical markers are concerned, but the story itself doesn't really reflect Victorian sensibilities. Everyone seems to love Cora. Everyone. She's the least developed character in the novel, and I still don't feel as if I know her. For example, I can't imagine why she put up with an abusive husband: It seems so out of character for her. She isn't beautiful, she isn't very delightful, and she isn't very serious about her paleontology hobby, either (she's no Mary Anning). I just can't imagine why several of the characters are in love with her. Will Ransome is a bit of a conundrum, too, and I'm less than impressed with his faith. He obviously adores and loves his wife. He does seem devoted to her, yet he has this weird thing for Cora. And I don't think that Cora has anything on Stella: Stella's much more intelligent and wise than the others think. It seems to me that the good folks of Aldwinter should find Cora and Will's traipsing around a wee bit unseemly. Surely they weren't that distracted by the serpent not to notice Cora's constant presence at the vicarage unless they couldn't see through the fog. Honestly I'm very annoyed with the fog in this book: He is the true villain. He keeps the plot from moving forward. There's lots of lovely symbolism in the novel: the serpent, the fog, Stella and her obsession with all things blue, just to name a few. It is so well-written (prose-wise) and there's lots to discuss. For these reasons I think it would make an excellent book club selection. The setting sounds intriguing and I love you included an excerpt of the writing style, so eloquent! It has been the perfect weather to cozy up with a book. Sounds interesting and I like to the cover too, grabs you! I enjoyed your review.